Perfect for a wedding or anniversary present, this matching pair were made for each other. 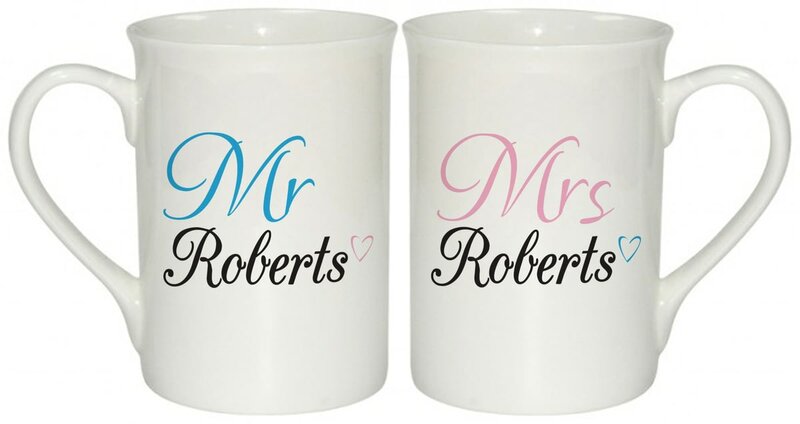 Personalised his 'n' hers mugs include the couple's surname onto the simple, single heart design. Mr's mug is in black writing, and Mrs' is pink, but each mug includes a heart of the opposite colour meaning the other half is still in mind. Whether kept together at home or taken to separate places of work, these two will never truly be separate - much like the lovely couple!